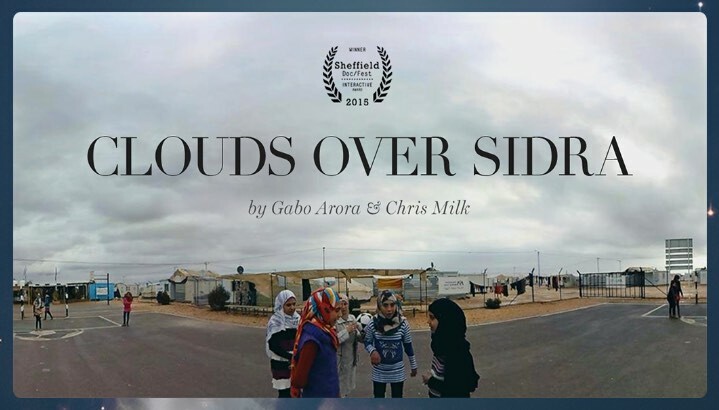 Clouds Over Sidra, an innovative interactive experience designed by UNICEF's own Chris Milk and Gabo Arora, is 2015's winner of the Sheffield Doc/Fest Award in the interactive category. With just a smartphone and a simple box-viewer, users can see the story of one child — Sidra — like never before through virtual reality. The video will start automatically!